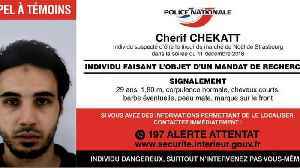 Cherif Chekatt, the suspect in the Strasbourg shooting, remains at large with hundreds of police and soldiers seeking him in a massive manhunt. 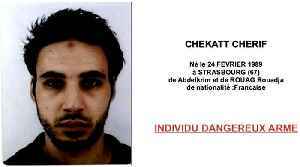 The Strasbourg shooting suspect Cherif Chekatt had a police record with 27 convictions in three European countries; it's believed he was radicalised in prison. 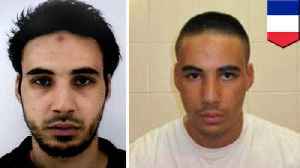 ▶ Videos for "Cherif Chekatt"
The man who carried out a deadly attack in Strasbourg had pledged allegiance to ISIS. 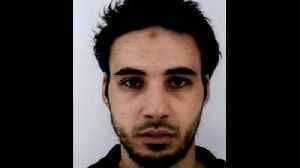 CNN reports authorities discovered a video in which Chérif Chekatt pledged allegiance to ISIS. The December 11 at.. According to CNN, a fifth person has been reported dead from his wounds as a result of Tuesday's Strasbourg Christmas market attack. 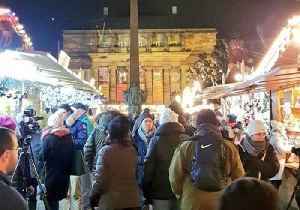 Last week, a gunman burst into the market, as crowds did their..
Reuters reports The Paris prosecutor’s office said on Sunday that a fifth person had died from their wounds following Tuesday’s Strasbourg Christmas market shooting. An official with the..
Strasbourg shooting suspect is taken out. He won't be missed. Here's what happened. 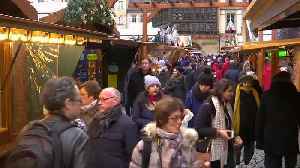 Strasbourg&apos;s Christmas market is reopening after a police shootout killed Cherif Chekatt, the gunman who slew several people there on Tuesday. French prosecutors say the investigation is now.. 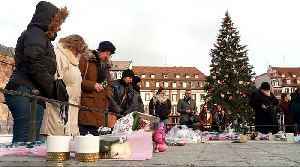 Residents and tourists alike returned to the Christmas Market in Strasbourg, France, after it was reopened by French Interior Minister Christophe Castaner on Friday, December 14, three days after a..
French police have killed the man responsible for the Strasbourg Christmas market attack that left three people dead and a dozen wounded. 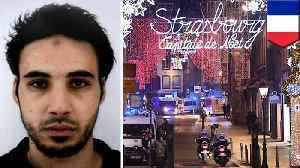 The 29-year-old man believed to have killed three people near a Christmas market in Strasbourg has died after a two day manhunt. Cherif Chekatt opened fire the moment police tried to arrest him and was..
Cherif Chekatt, on the run for 48 hours after deadly Christmas market attack, shot dead in brief gun battle with police. 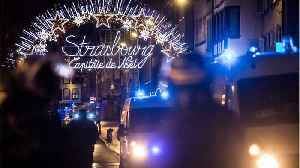 STRASBOURG, FRANCE — French police have killed the man responsible for the Strasbourg Christmas market attack that left three people dead and a dozen wounded. 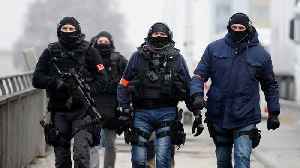 The Guardian reports that on the..
Security forces killed the suspect in the shooting attack at a Christmas Market in Strasbourg, France, after an exchange of gunfire in the Meinau quarter of the city on Thursday, December 13. 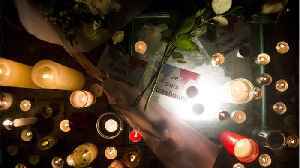 Police..
French Interior Minister Christophe Castaner speaks with reporters about the suspected gunman who killed three people at Christmas market in the French city of Strasbourg, who was later shot dead in a.. The suspected gunman, who killed three people at a Christmas market in Strasbourg on Tuesday, has been killed, two police sources said on Thursday. Chris Dignam has more. French authorities say the suspected gunman who killed three people in the city of Strasbourg two days ago has been shot dead in a brief gun battle with police. A report from Reuters says that.. 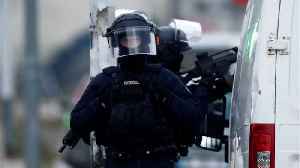 According to Reuters, French police killed a suspected gunman during an operation late on Dec. 13th. 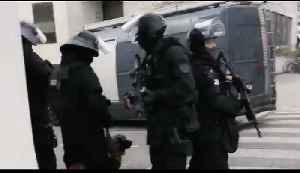 The operation by French police brought a two-day manhunt to an end. 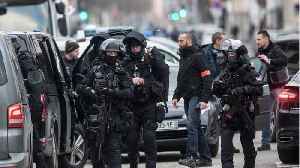 Police sources said the man..
A suspect has been killed in a Strasbourg shootout with French police searching for the alleged gunman who killed three people near a Christmas market on Tuesday. 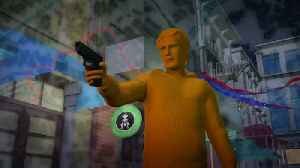 The shooting occurred in the Neudorf.. The man responsible for the Strasbourg terror attack was killed by police on Thursday, a spokesman for the Paris prosecutor's office said. 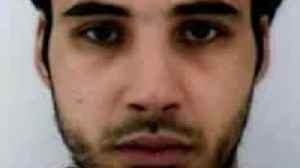 Cherif Chekatt, 29, is accused of killing at least three..
A gunman suspected of killing three people at a Christmas market in Strasbourg was still on the run on Thursday, 48 hours after the attack, eluding security forces who have launched a manhunt across..
Police have identified the suspect as Strasbourg-born Cherif Chekatt, who has a long criminal record. 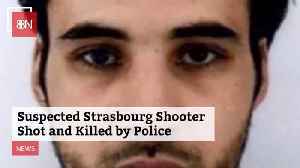 Security forces in Strasbourg cordoned off streets in the Neudorf area of the city on December 13 as they continued to search for Cherif Chekatt, the suspect in a shooting near the city’s.. 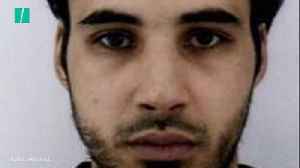 According to a report by Reuters, on Thursday, the death toll in an attack on the Strasbourg's Christmas market rose to three, as police continued to scour eastern France and manned checkpoints on the..
Business Insider reports French police released a photo of the suspected gunman in Tuesday's terror attack at a Christmas market in Strasbourg, as a 36-hour manhunt continues. 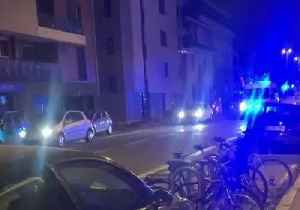 A lone gunman killed two..
STRASBOURG, FRANCE — Police are still on the hunt for a gunman who killed at least three and injured over a dozen others in the French city of Strasbourg. 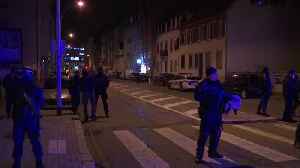 The BBC reports that according to Paris..
Police are still on the hunt for a gunman who killed at least three and injured over a dozen others in the French city of Strasbourg.